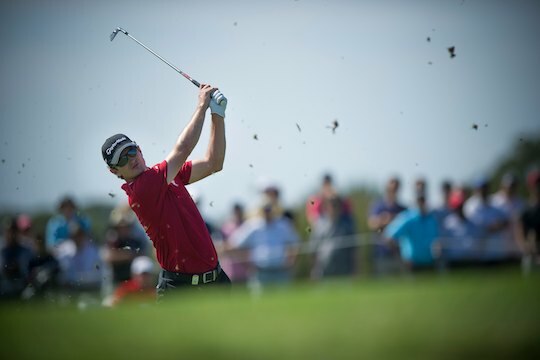 Australian John Senden may have a two stroke lead over Justin Rose at 7-under moving into the final round of the Australian Open at The Lakes Golf Club in Sydney, but the Englishman is hot on the Queenslander’s tail. The pair fired third rounds of 2-under-par 70, in challenging conditions to break away from Matt Jones, Peter Senior and Kieran Pratt, who are at 4-under to the tournament. The chance of securing his second Australian Open title is something Senden is relishing, even with the challengers coming thick and fast. “This is what you train and play for to get yourself into this position in a tournament,” said Senden, who won the 2006 John Deere Classic on the PGA Tour in the same year that he secured the Australian Open at Royal Sydney. An eagle on the 528 metre 11th certainly helped the momentum Senden needed to keep his score going on a difficult afternoon in Sydney. The Queenslander went on to close with two further birdies on 13 and 14 and solid pars on 15 through to 18 when the majority of the field struggled. “It is all about doing the job and moving forward from there,” said the 41-year-old Senden. At the 16th, Rose was level with Senden, yet two closing bogeys at the 17th and 18th were the only blemishes on his card, which included four birdies and twelve pars. It’s a stage reminiscent of the Australian Masters that saw a final day duel between Ian Poulter and Adam Scott – another battle of the Ashes mix between an Englishman and and Aussie for one of our major professional titles. Scott, winner of this event in 2009, is currently in a tie for 9th position at 2-under following rounds of 72-71-71. The five stroke deficit, while large, can be overcome by the world number five. 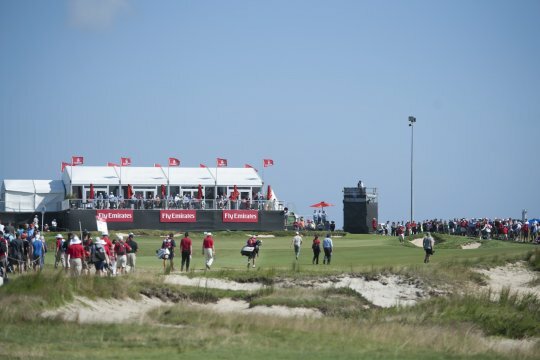 Seventeen players, including Stuart Appleby, US PGA Tour winner Kyle Stanley and promising young gun Kieran Pratt are also within striking distance and with the forecast for even stronger winds tomorrow, Senden was remaining coy with his chances. “Anything can happen,” says Senden.